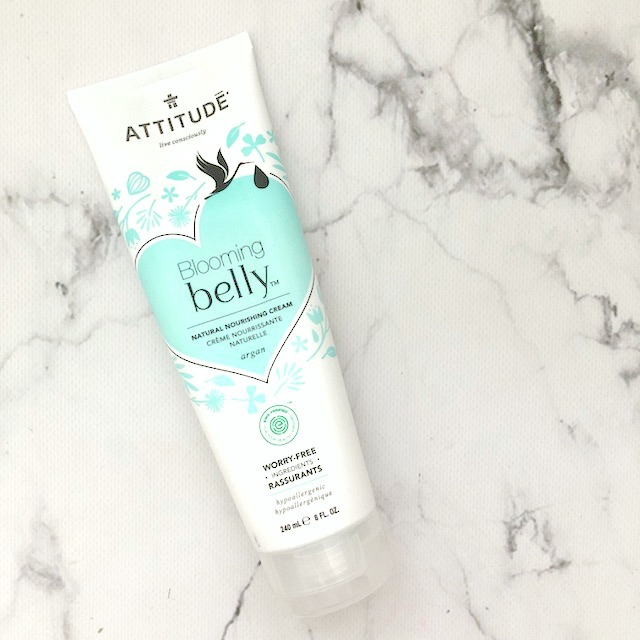 This is a safe body-wash to use during pregnancy as it is hypoallergenic and is pH-neutral. It has the same scent as the Nourishing Cream below and gives a nice creamy lather. It also contains argan leaf extract to help with firmness and hydration. It contains plant and mineral-based ingredients and is free of sodium laureth sulfate, a surfactant contaminated with cancer-causing chemicals. This product effectively cleansed my skin without making it feel stripped. The one big thing I've noticed during pregnancy is that the prenatal supplements combined with the change in hormones has made my hair thicker and healthier! 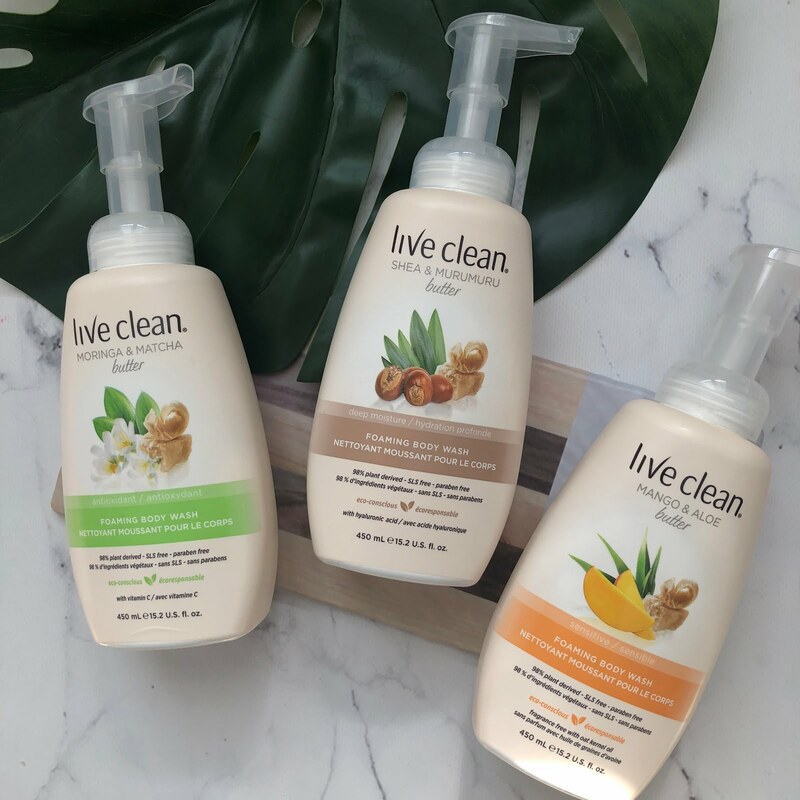 This shampoo is made of hypoallergenic and worry-free ingredients and also contains the subtle scent of apple blossoms like the Body Wash and Cream mentioned in this post. This product contains argan leaf extract, panthenol and hydrolyzed wheat protein which nourishes and softens hair. 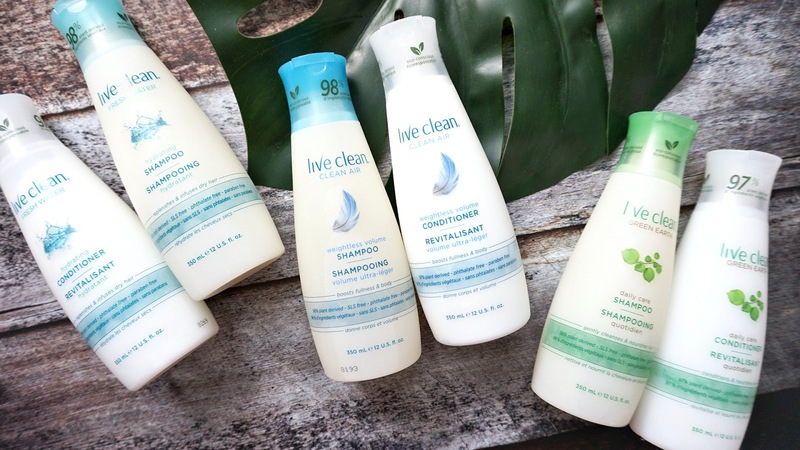 It is also free of harmful preservatives like phenoxyethanol, parabens, formaldehyde or formaldehyde-relasers, benzyl alcohol and is free of sodium laureth sulfate, like the body wash above. In the beginning of your pregnancy, you may not feel the true strain and tiredness on the legs but come the end of the second and beginning of the third trimester, oy... I know for me that's when I really felt it. I am a few weeks away from my due date and I am waddling around like a penguin and am feeling alot of strain and soreness. This product is to help with the swelling of legs and feet and the mint component adds a cooling and refreshing feeling to any fatigue you may experience. It also helps to stimulate blood microcirculation and the argan oil in this product helps with elasticity and firmness. This is one of my favorite products used so far. I've used this consistently and the non-greasy moisturizer with a subtle scent of apple blossoms keep my skin hydrated. It contains sweet almond oil and shea butter to keep your skin firm and elastic. This also contains argan oil to keep your skin glowing. 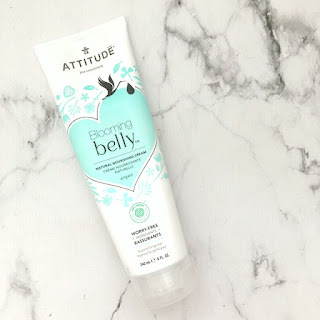 This product is to be used 2x a day and is rubbed in a gentle circular motion in areas that are prone to stretch during pregnancy, so belly, thighs, breasts etc. Use it from the beginning of pregnancy to help increase the elasticity of your skin. It is a very emollient product, its almost petroleum jelly like in texture and contains argan and almond oils to firm and nourish the skin. I liked this product because even though I didn't use it everyday as recommended, I did use it 2-3 times a week and it has helped immensely with any itchiness or stretch marks. It also has helped with the comfort of the skin on my belly, it doesn't feel like it is being stretched and pulled. 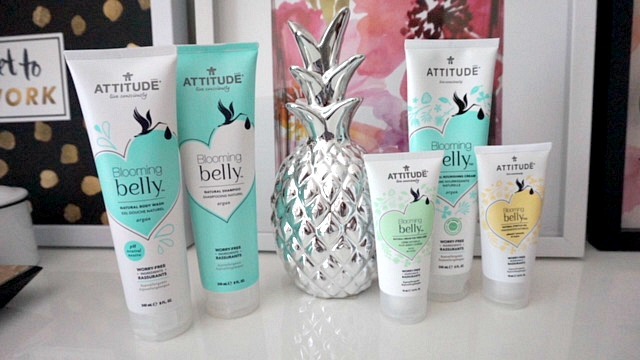 I am so happy that I had the opportunity to review these products and have been using them throughout my pregnancy. I'd definitely recommend these to a mommy-to-be!